When searching for a new home, you may notice many different varieties of “Real Estate Talk” citing popular waterways near or attached to the property. The Gulf aka the “Gulf of Mexico” which is West Florida’s largest body of water & most similar to an ocean. The major difference between these two is the Gulf is locked by land on 3 sides while the ocean is an open body of water. Canals are man-made waterways that often connect to larger bodies of water. Lagoons are typically a shallow, natural body of water which is elongated in shape. Pass is a navigable channel. 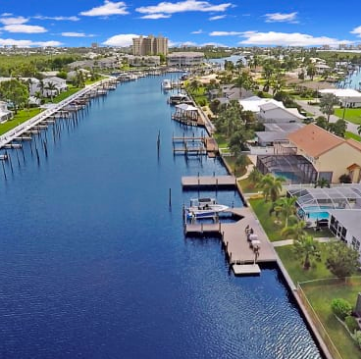 Locally, you might notice “Mantanza’s Pass” which is positioned on the East side of Fort Myers Beach. Sound is a narrow stretch of water forming an inlet or connecting two wider areas of water. Be on the lookout for Pine Island Sound which is a wide body of water between Sanibel Island and Pine Island. Rivers are natural streams of water flowing in a channel to another body of water.